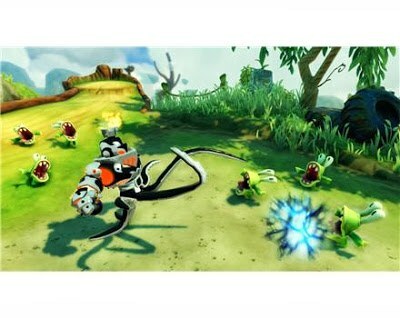 This past week at Gamescom in Cologne, Germany Activision and Vicarous Visions were out promoting Skylanders SWAP Force. Just think of Gamescom as a trade show similar to E3, but in Eurpope and later in the year. When you have such a massive audience to present your product to, do you rely on the same information you revealed 2-3 months ago in the US? Nope...you capitalize on the opportunity and showcase new and different highlights. Most of the attention thus far has gone to the new featured characters (Boom Jet, Grilla Drilla, Slobber Tooth, and Zoo Lou), and rightfully so. That said, often times when there is an influx of new information, a lot of the smaller, less flashy elements get cast by the wayside. Something I have yet to see mentioned anywhere is the reveal of the new Gameplay Modes. -Assortment of Gameplay Modes - Players will be able to experience various Survival and Battle Modes, all featuring vibrant, action-packed arenas and environments where Portal Masters can test the true strength of their Skylanders. --Solo Survival Mode - Single player horde style mode where players must battle through waves of enemies. --Team Survival Mode - Two-player co-op horde style mode where players must battle through waves of enemies. --Rival Mode - Two player "versus" mode where both players must fend off waves of enemies; the player with the higher score wins. 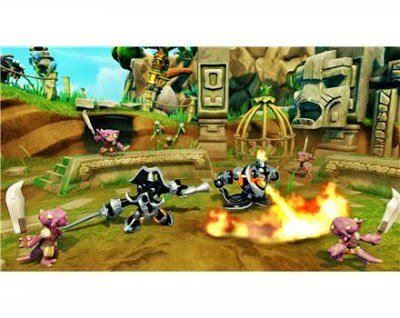 --Battle Arena Mode - Player vs Player-style mode that lets Portal Masters pit their Skylanders against each other. That is me typing the info out verbatim...I just added the periods. This is BIG NEWS to be overlooked. I was stoked to read it and now I'm glad to get to relay the information along to all of you. I am personally the most excited about Solo Survival Mode, mainly due to the fact I usually play solo. All of this info is great, but leads a lot to speculate. Will Solo Survival be akin to Brock's Arena Challenges in Giants? 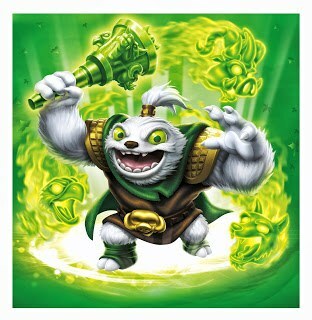 Will we see regular enemies, or will there be Kaos' Dark Minions and old bosses? 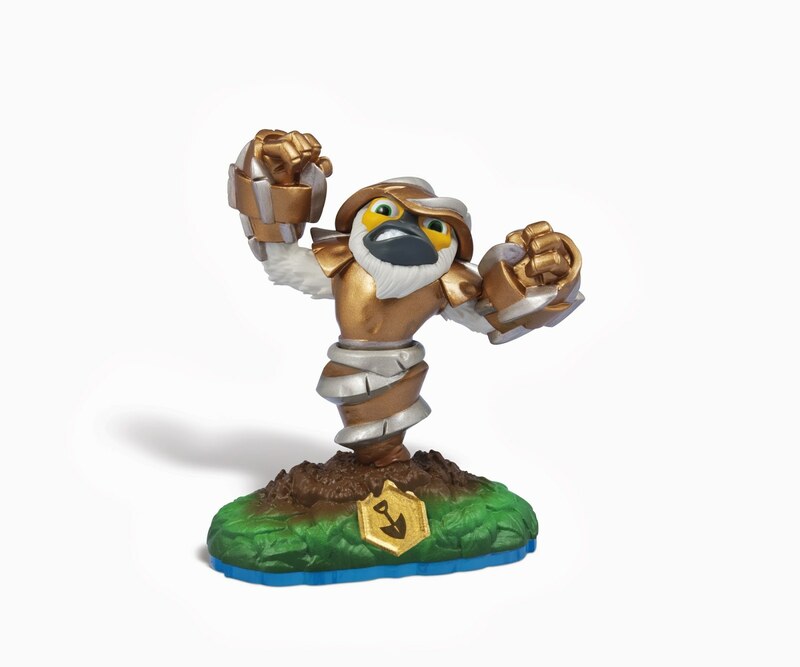 Will Ring Out Mode deal damage, or just end with a force out? There is a lot to wonder about and it all sounds very promising. What Mode are you most looking forward to? Do you envision yourself playing Team Survival, Rival, or Ring Out more than the classic Battle Arena Mode? Let me know what you think in the comment section. Be sure to stay tuned...coming up next I will move on to the more "flashy" side of things and cover the four focus characters of Gamescom...if you haven't seen the artwork, figures, and gameplay you are missing out...It is some cool stuff! Stay tuned! This is one of those "all too apparent" posts. An example is Rattle Shake. It is pretty clear the "Spring" icon indicates something to do with a spring: coil, jump, bounce etc. 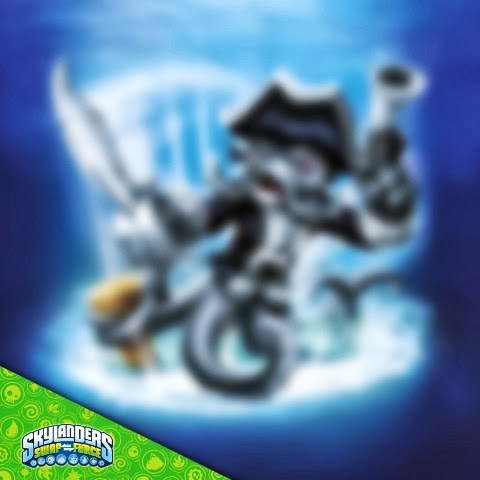 That said, most of the die hard Skylander camp likes to have facts...they want things to be official. So, what is my source? The Fact Sheet that joined the release of information for Gamescom. Activision hit the road this past week and headed to Cologne, Germany for the big trade show (very much like E3 here in the US). 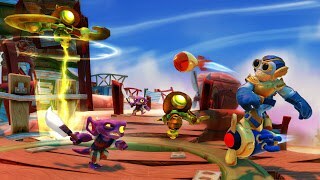 With it, they used the platform to release some new information not just on the characters, but the game itself. I think a lot of folks tend to over look this stuff when there are media rich pictures and video clips to drool over. For better or worse, I read...and because of that, I have this information for you! "Eight Legs and No Pegs!" I haven't listed all of the Swappers out...you know a few more...I just wanted to give an example in the event you want to see the base etc. Again, most of us had a general idea, but now, with the release of this information, I feel pretty good this is about as good as it will get in terms of those who seek "official confirmation." What do you think of these designated names? Any you are surprised by, or would change? How close were your guesses? 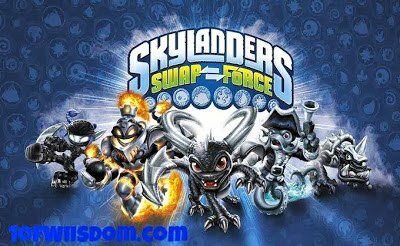 Stay tuned for more Skylanders SWAP Force News! That said, it is 5 AM Tuesday morning, so this doesn't really qualify. Before I go to bed the entire First Round will be live on YouTube and added to the blog post right below this one...I will try to add the pictures tomorrow. The other goal is to get the rest of the tournament edited, rendered, and uploaded this week. I have a new Beyblade Tournament to upload, as well as 2 New Shogun Steel Unboxings. I put them off due to putting a priority on New Super Luigi U and the Pokemon Rumble U NFC Figures we acquired Sunday. In addition to the S2 Upgrade vids, I have some really cool, new SWAP Force info to pass along...I've yet to see or hear anyone speak of some of it, so that will be cool...If I can get the rest of the tournament edited tomorrow night, I will start in on this ASAP. It gets the priority after the SSA Tournament and before the S2 Upgrades. Speaking of S2 Upgrades, going alphabetically by Element and Name, I have them all up on YouTube thru Zook. I have recently recorded Zook and Double Trouble. Spyro and Wrecking Ball have the cash and are ready to go. After that, I just need to get the cash for Tech, Undead, and Water. I hope to work on that later this week and over Labor Day. Something else my Nephew and I recorded this weekend will remain a surprise...I will say it was on the Wii U. It should be pretty easy to edit and upload...look for it shortly after the S2 Upgardes go live. We are coming up on the fall, which is when big name games start to drop...I have had a lot of questions on my purchase plans so I will make a stand alone post there. 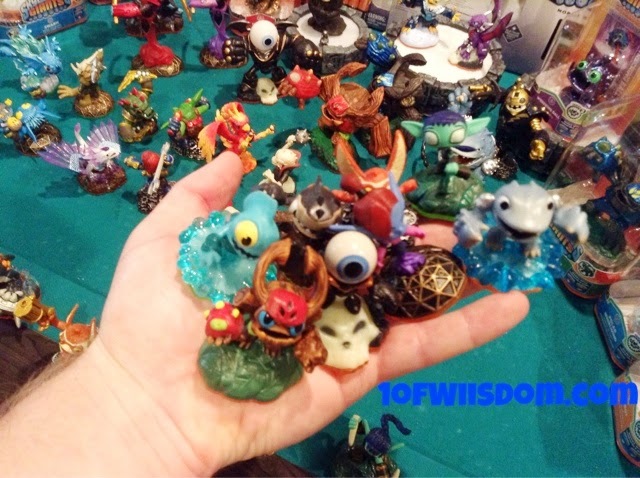 Skylander Blog Posts...Look for Updates! Again, here in a few minutes I'll make all of the SSA Blind Draw Tournament's Round 1 Vids live on YouTube and the blog. You'll see the rest of that tournament as soon as I can get it edited, rendered, and uploaded. 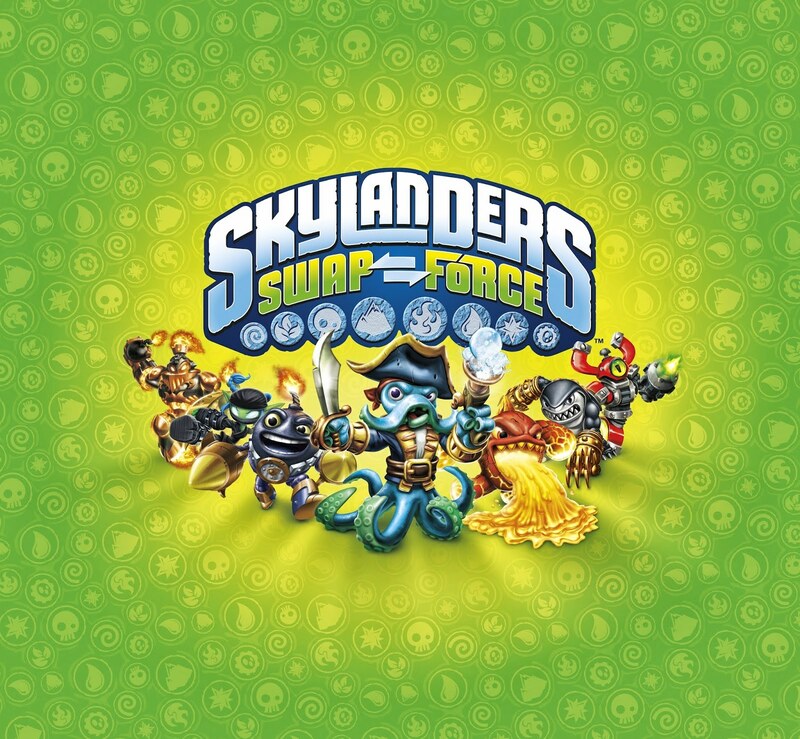 Next up will be some NEW SWAP Force Info. We'll then see the "official" start of the S2 Upgrade vids (I will aim to have the entire set up before the end of the month...prob sooner). Mixing in with those will be some Beyblade action and the Wii U surprise. There will also be a lot of updating on the blog. Stay tuned for some great things! 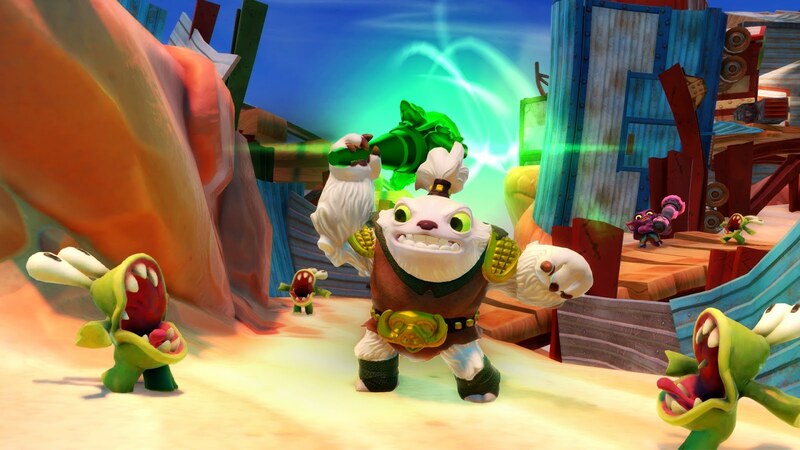 One of the most popular requests I continually get on my Channel is to do any sort of Skylanders Battle Mode. As most of you know, I tend to record late at night and solo...It is just a product of when I have free time...I work during the day, run errands after work, make supper, take care of what has to be done, and then when I do have free time, I enjoy playing games. Not too many folks are around at 2-3 AM during the week to join me in Battle Mode. 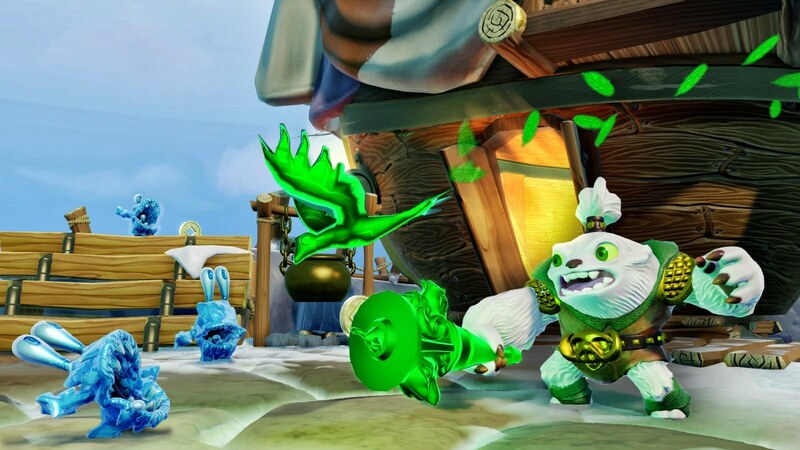 To make up for it, I started the Skylanders Poll Battle Series. While it isn't quite as action oriented, it is fun, and adds a unique element to the blog and the channel. That said, sometimes I do get an opportunity to have someone over and record with...That is usually my Nephew (aka thewalkthruking) and that was the case this past weekend. He stayed the night Friday (school here started up today, August 26th, 2013) and we put in some time playing Skylanders: Spyro's Adventure. This was all his idea, but he decided that he wanted to do a "Blind Draw" (Pokemon Style, drawn from a cup) SSA Matchup. He initially wanted to do ALL the Skylanders, but we need some workable number for a tournament...so we went with 32 and since he wanted the Castaways involved, we elected to go "old school" and utilize the Original 32 from SSA. 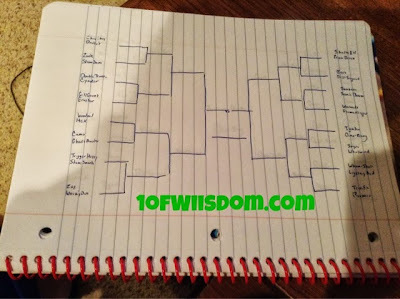 We recorded the 1st Round of 16 matches that night, and Saturday we finished up the bracket. We both had a lot of fun. 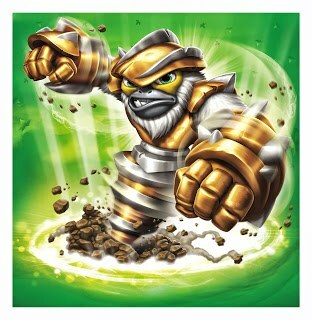 That said, I'm use to box-stock Skylanders and many of these guys had been sitting dormant for a long time..Plus, we never really get to play Battle Mode much...needless to say there was a re-learning curve...The best path for Story Mode isn't always the best path for Battle Mode...that said, all the Skylanders were fully maxed out and we enjoyed going head-to-head. We set the battles up as follows: No Items, No Arena Hazards, No Powerups....We wanted a true Player vs Player experience not skewed by add-ons. Similarly, to keep it fair, each battle was randomly assigned a course by way of my Nephew closing his eyes and tilting the Nunchuck's Analog Stick left and right. The only real disadvantage for me is that I let him select his character first...every time. In the future we might set up teams, rotate, or let me pick the characters first, bahahahaha! Anyway, to try and keep dropped frames a non-issue we recorded each match individually...Ironically only one match had any drops even worth noting. Go figure. That said, my issue is that they take a LONG time to edit...I combined Round 1 of Brackets 1 & 2 and the rendering took several hours...as such, I kind of modified the plan and broke it down into groups of 4 Battles...which is interestingly, what we had planned to do early on...then we changed course. Again, go figure. Without further ado, here is our Skylanders: Spyro's Adventure Original 32 Blind Draw Tournament! *Please note, due to editing and other issues, the "Parts" I speak of may not match up to what you see below...When in doubt, go with the blog. That said, the video titles and upload order (as well as the playlist) will set you in the right direction. That wraps it up! We hope that you enjoyed our SSA Throwback Tournament! If time allows, we will continue to record Skylanders Battle Tournaments! NFC...Near Field Communication...that little area on the Wii U Game Pad just below the D-Pad. 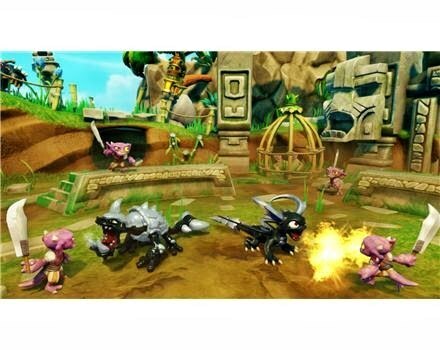 Pokemon Rumble U launches here in the US on Thursday, August 29th, 2013 for $17.99. You can get it via the eShop on the Wii U, or via download card at GameStop. 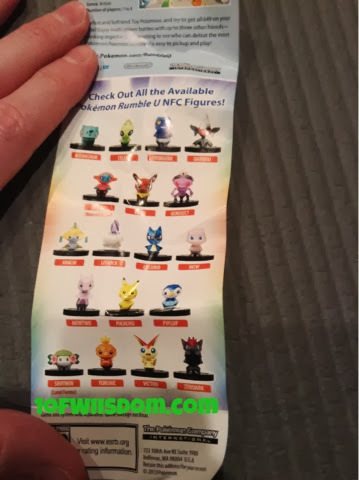 If you pre-order, or pick up while supplies last, from GameStop you can get in on Legendary Black Kyurem or White Kyurem. I plan to get in on that! 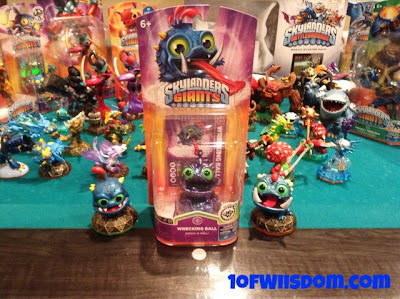 The Rumble U Figures are a little smaller than Skylanders Sidekicks if that helps you determine the scale. The cool thing is they only cost $3.99...the bad thing is they come in blind capsules so you will literally have to will your way to landing the complete set of 18. That said, if you are running tight on cash, the figures are not necessary to play the game, unlock any additional content, or aid you in ways beneficial to someone not having the figures. 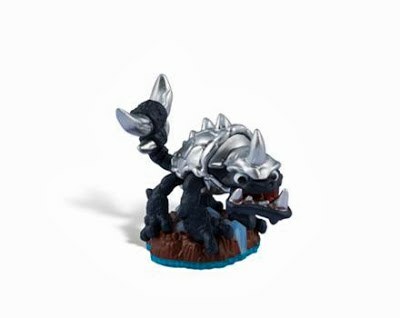 However, most Pokemon fans are diehards and these are cool, small figures at a budget price. Most folks can probably trade their duplicate figures with friends to make the process easier. Regardless, you have do admit it is a neat concept. 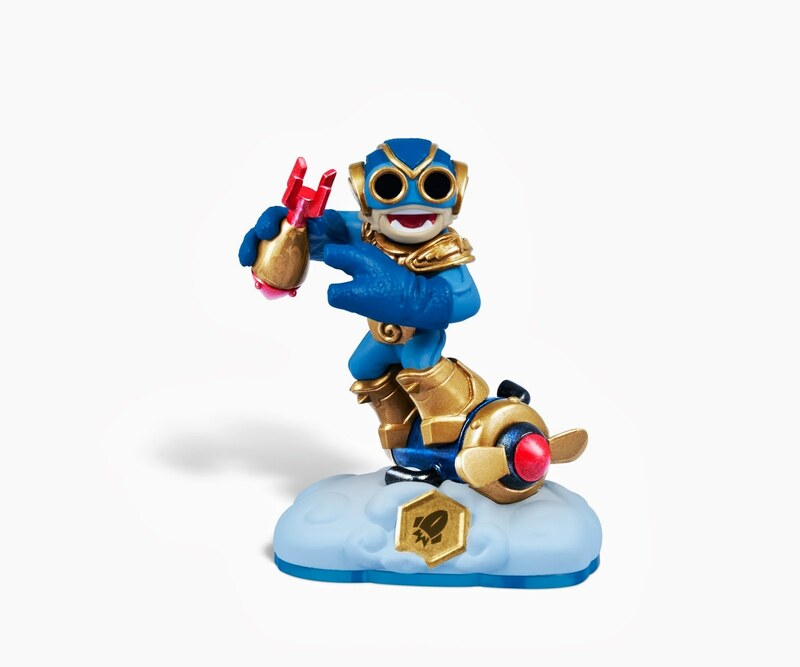 While it is essentially the same thing we see with Skylanders, the goal here is just to have the ability to save character data and progress to the figure and then take it to a friend's house. You simply place the figure on to load up...play the game...and then scan it back via NFC to save the progress...very slick. What I was going to say earlier is that this game is special for two reasons: First, it is the very first Pokemon game for the Wii U. Second, it is the very first time Nintendo has used the NFC feature of the GamePad...this is something I could see them continuing, and under this set up, I would not mind. The figures are optional, inexpensive, and really just something for diehards to collect. My Nephew, a big time Pokemon fan, was really into this and very excited. We plan to pick the game up Thursday and grab a few more figures. They would be right at home in the living room, at the dorm, or even in the office. The fact the figures interact with the game is a perk. 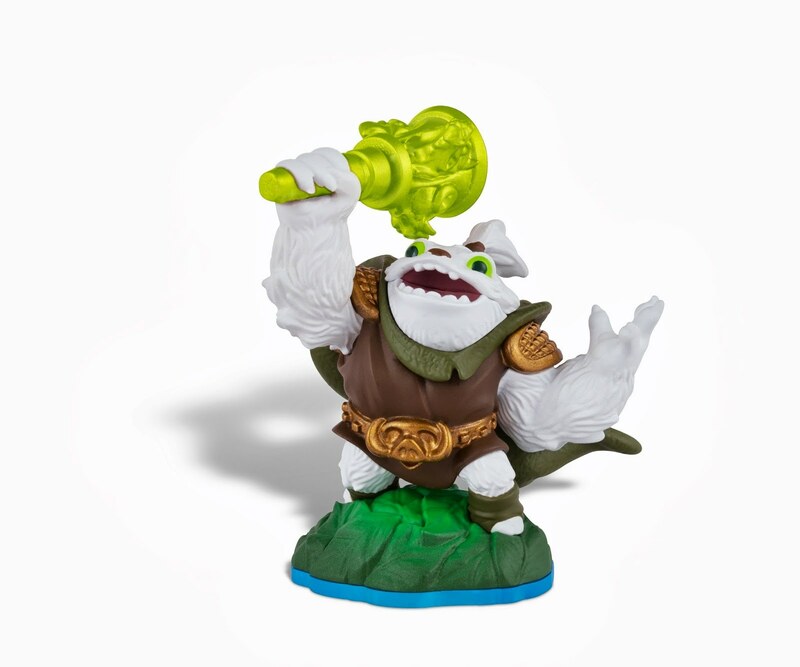 For kids who may not have been exposed to Skylanders, this would make a nice stepping stone. I am excited to try out Pokemon Rumble U as it would be my first foray into the genre. 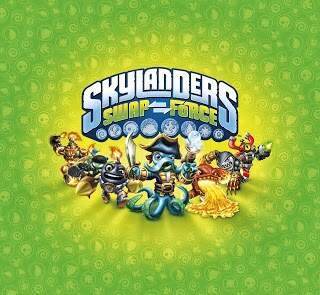 I've seen quite a few episodes of the cartoon, heard my Nephew talk about it for 2 years or so now, and despite him always playing the game on the DS, I haven't really gotten any hands on time like I have with other titles. Again, the only real downside is that the figures really are "blind." You won't know what you are buying...that can come into play when you have 17 and are trying to land the pesky last one to complete the set...My advice is find other players and work the trade circuit! 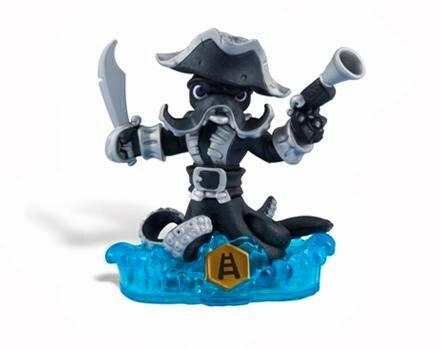 The figures are surprisingly well detailed for $4...they are by no means close to the scale of detail found on Skylanders, but they are far from being a cheap, junk type toy. These really are nice, versatile add-ons to what will hopefully be a fun solo and coop endeavor game! Stay tuned for more on Pokemon Rumble U and of course, more Pokemon Rumble U Figure unboxings! 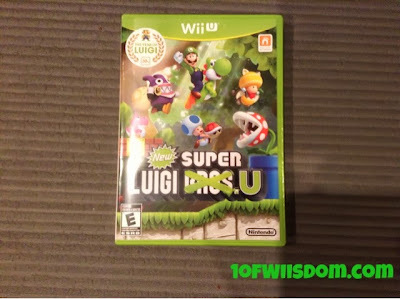 I have to say, I was very excited to hear of New Super Luigi U a few months ago. I felt it was a great addition to the planned line up for the Year of Luigi. Plus, I knew my Nephew would like it and figured it would make a great Christmas gift...That part kind of fell through since I got it for him today, but I digress. New Super Luigi U has been out for a few months...as a download. I am one of those people that prefers a physical copy over any download. When you factor in how special this packaging is, it made the 2 month wait a no brainer for me. New Super Luigi U is an attractive package...literally. 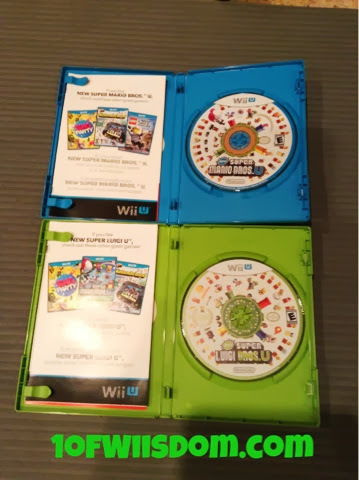 Instead of the textbook blue Wii U cases (which I personally like) NSLU gets a nice Yoshi Green case. I say that because the green is more lime than forest...or, in Mario terms, you'd brush a swatch of this on your wall and think it looked like more of a Yoshi color than Luigi. That said, it is still cool, it is still green, and it is still a nice collector's item. There is a "Year of Luigi" seal in the upper LH corner and there is no sign of Mario. Inside the game lacks any special booklets or even a base instruction manual, which was a bit disappointing given the opportunity there to really honor Mario's bro. 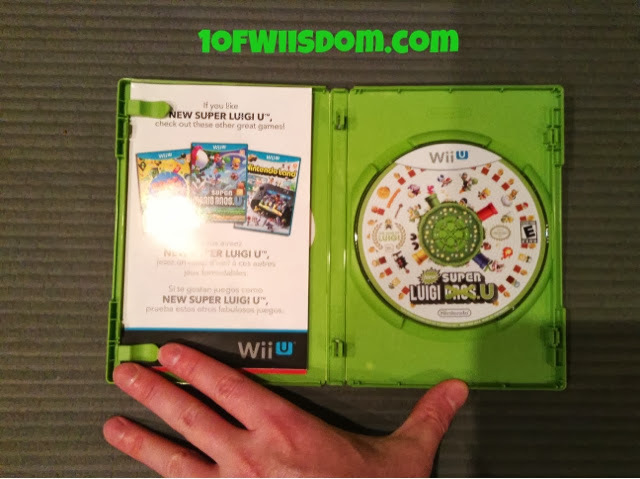 The game disc was also customized...virtually nothing is the same as New Super Mario Bros. U! While I do feel they could have done more to honor Luigi, the game was only $29.99, which I think is more than a fair price for what you receive. In fact I, like many others, plan to pick up another copy to keep sealed for display purposes! You don't see many US released Nintendo titles in "special" cases...Just a few red ones come to mind from the Wii. I'm pretty sure this is the first time we've ever seen green on the casing! That said, what about the game? From what I know there are 82 courses, all redesigned and structured specifically for Luigi. Those that are veteran players of the series will no doubt recall Luigi having a longer and higher jump than Mario..that was taken into account here. The other thing comes with a greater challenge. 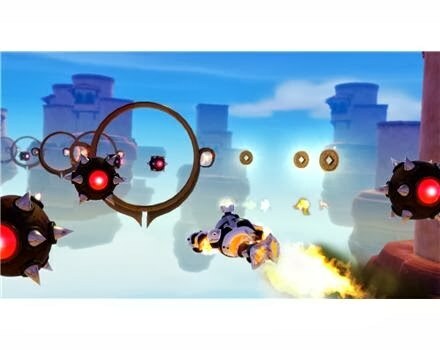 The levels were not only set u to be more challenging, but have a 100 second time limit. This is something I could do without. While I appreciate the fact it makes the game unique and even more challenging, one of the things I enjoy most is exploring the levels...really taking time to get to know them thoroughly. That can't happen with a 100 second time limit AND a more challenging layout. I think the solution could have been that once you complete the game, you can unlock a "Leisure" mode that either defaults the time limits, or turns them off...Oh well, one can dream. The other touted feature is that you can play as Nabbit...which sounds lame...until someone tells you he is invincible to enemies! Yeah...game on! I'm excited to try that aspect out and see how it changes gameplay...that said, I'd prefer to experiment with it in time constraints greater than 100 Seconds, but what can you do? Still, despite the time limit drawback I am excited not only to own this game, but to play it. It looks great with any collection and should be a nice challenge for veterans of the series. What Was Stock Like: Well Stocked...store just set up the display! After just 2 weeks of not checking our local TRU restocked with the new Shogun Steel line!! 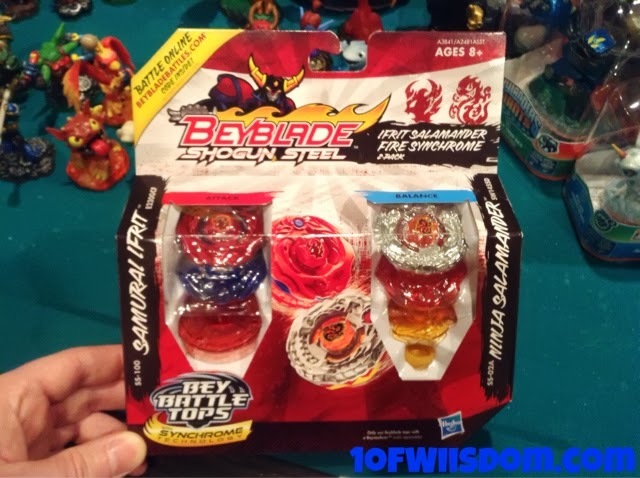 We caught the display, figured out what it was all about, and decided to just stick to the Beyblades for now...The rest can come later. I picked up a Two Pack and a couple of singles to have us some cool, new Beys for the summer. This past week, we FINALLY got around to opening them, lol. The two singles are still waiting...along with a nice assortment of the old guard. The Blade that caught my attention was Samurai Ifrit...looked great, even i the packaging. 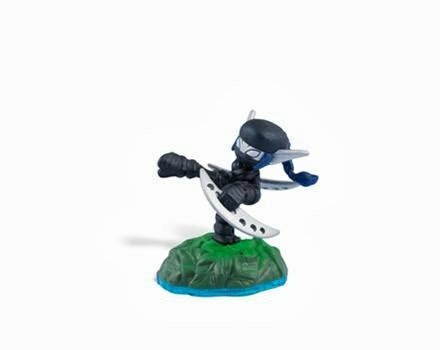 Lucky for me, my Nephew decided to stake claim to Ninja Salamander (the battle videos are coming!! 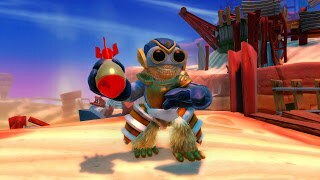 I had to get the Skylanders Castaways vs Newlanders stuff cranked out first!). That said, we were both very excited to unbox these new Beys! Just for the record, I know realize that Shogun Steel is basically our version of Zero G...Last I checked around I was under the impression Zero G was going to launch here in the fall on Cartoon Network and have toys out before Christmas...I didn't realize that the toys were here and under the Shogun Steel line. And yes, this post is being typed BEFORE the video is uploaded and LIVE on YouTube...not that many commenters will come here and check...oh well. Anytime I can unbox with my Nephew, I like to do it...especially with Beyblades since he is more attuned to the community than I am. We recorded a showdown between Samurai Ifrit and Ninja Salamander right after unboxing! We also tossed in a few other battles...Be on the lookout for that video! 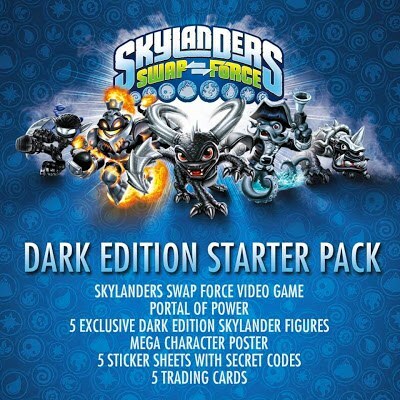 As you can see, this is your standard Starter Pack amplified with darkness (and a dash or two of Awesome). Rather than just offer up Wash Buckler, Blast Zone, and Ninja Stealth Elf in their dark forms, we got the addition of Dark Mega Ram Spyro, and Dark Lockjaw (or is that Slobber Tooth?) We also have what is dubbed the "Mega Character Poster." I would love to know more about this...Is it simply bigger, will it include all of the potential variants etc? More details would be nice, but a surprise would be just as cool. Is it Dark Lockjaw as indicated in the press release, or is Dark Slobber Tooth? 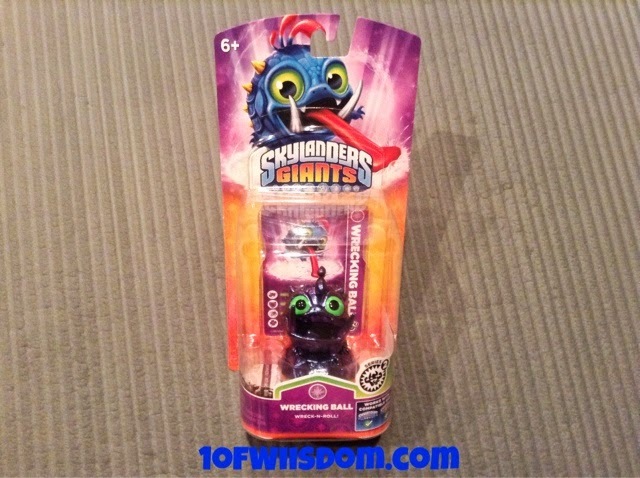 We saw this character in leaks a few weeks ago, and more recently a box was revealed with Slobber Tooth. I'm inclined to believe this is Dark Slobber Tooth and that perhaps this release was crafted prior to the name change. 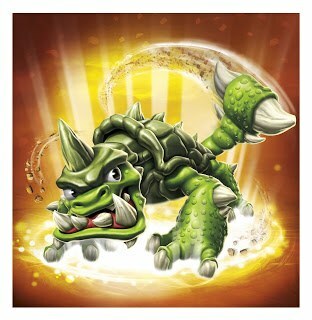 However, it could be that Lockjaw is correct...maybe this character will have a standard form name (Slobber Tooth), and a different Dark form name...My money is still on Dark Slobber Tooth, but we will see. 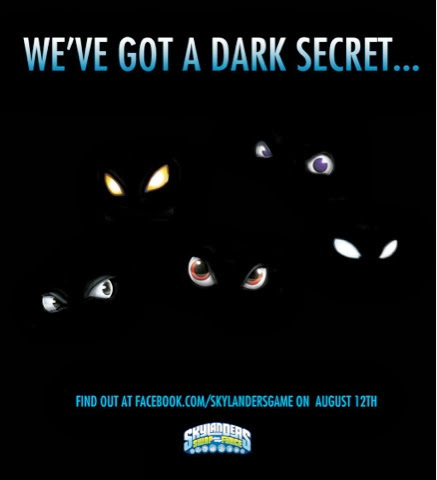 Next up, is it Dark Spyro and Dark Stealth Elf, or Dark Mega Ram Spyro and Dark Ninja Stealth Elf? I, once again, lean more towards the adjectives being in place. 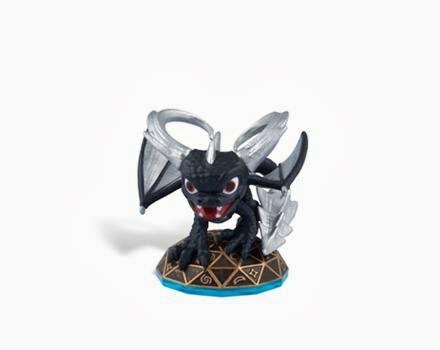 We already have Dark Spyro. 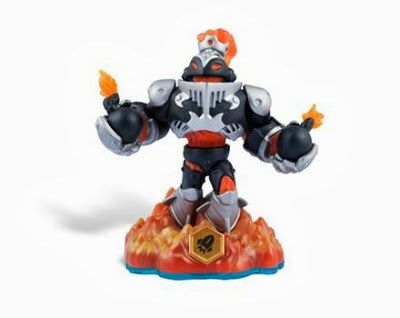 The S3 Skylanders (and S2 returnees from the original Giants cast) all have adjectives in front of their names. This will help fans, parents, and everyone really keep the figures straight. It only makes sense for this to apply here, thus creating Dark Mega Ram Spyro and Dark Ninja Stealth Elf. I know many of you wonder about the available systems for this Starter Pack. I currently do not know if it will be available for PS4 or Xbox One. 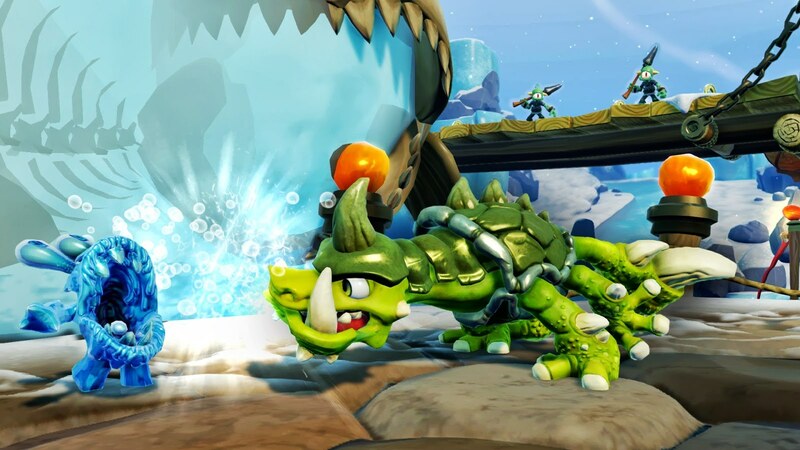 I don't see it being announced for the 3DS due to the differing line up in the Starter Pack...Plus, it already boasts Volcanic Eruptor, who follows in line with Dark Spyro and Punch Pop Fizz. 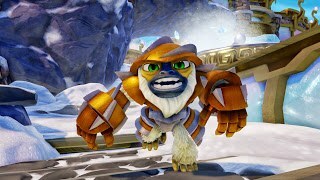 If not for the different characters (Rattle Shake and Free Ranger). 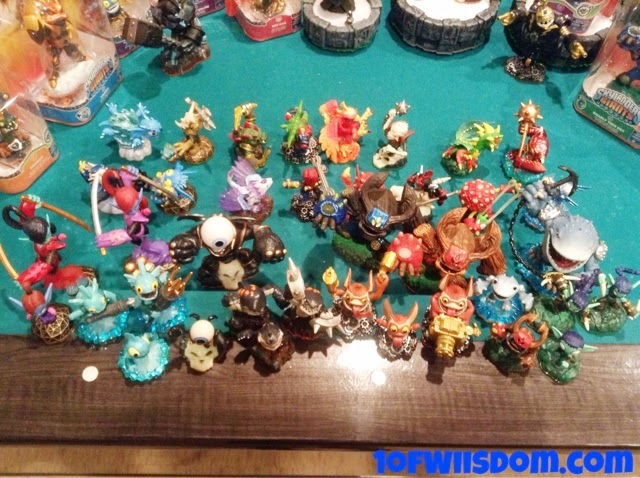 -Bragging rights, value, and a unique collection! 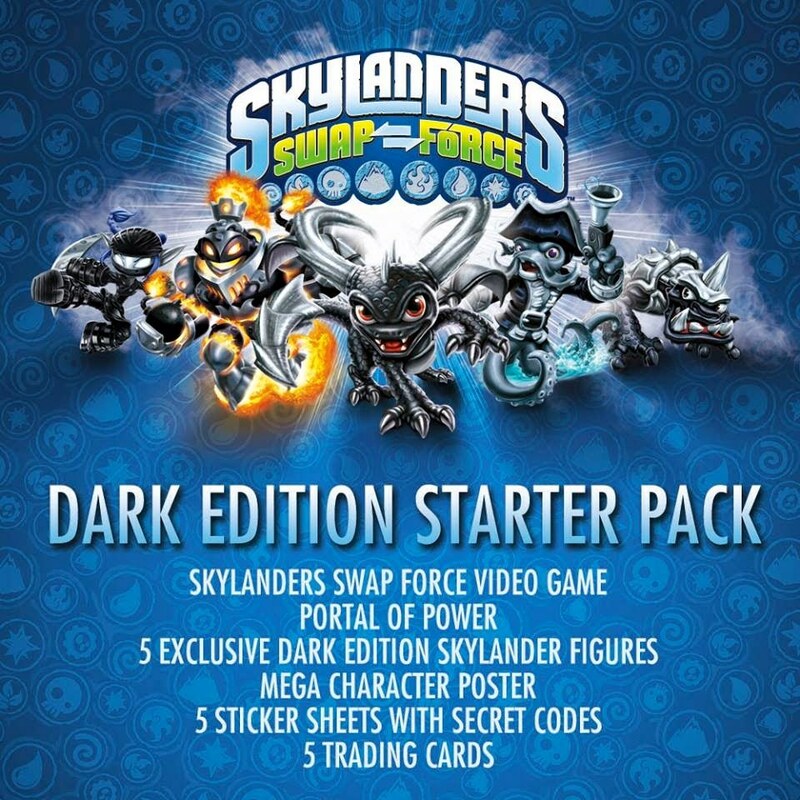 The Dark Edition Starter Pack is up for pre-order now and retails for $99.99. All-in-all, this looks to be a great setup! I plan to pick one up, likely for the Wii U. 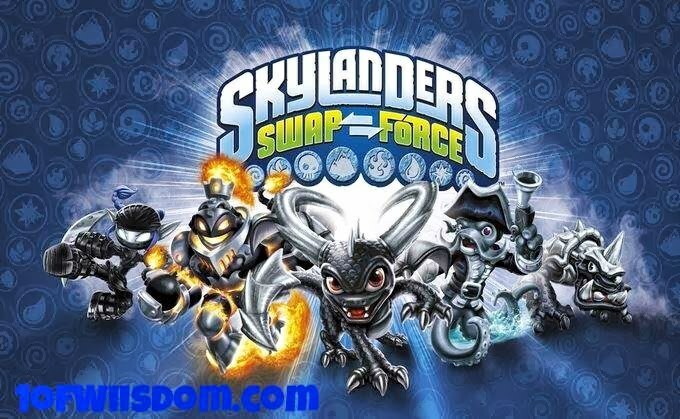 -Which SWAP Force Starter Pack are you getting? -Which Dark Skylander do you like better? Check them out and vote! 1. There is a "dark" secret. 2. There are 5 pairs of eyes involved. 3. We will get answers today (I'm blogging this at 4:41 AM lol). 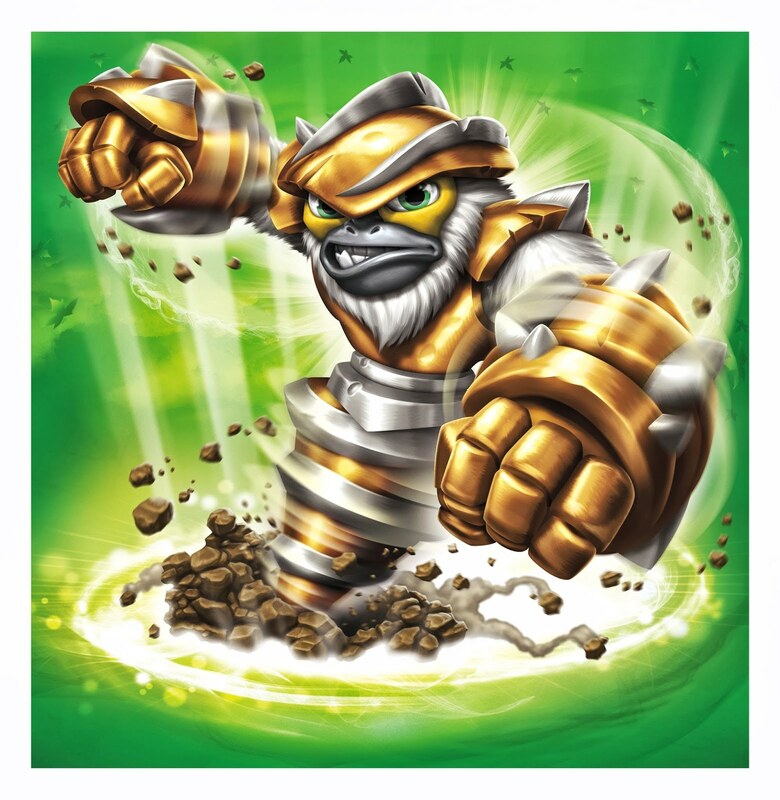 Clearly, the image and description allude to Wash Buckler. 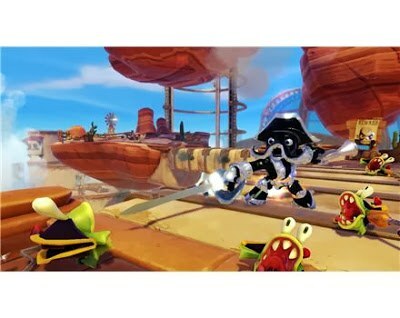 If you look closely you'll notice his attire is black and his blue tentacles are now more of a gunmetal grey. It makes sense this could be a new contingent of in-game variants. 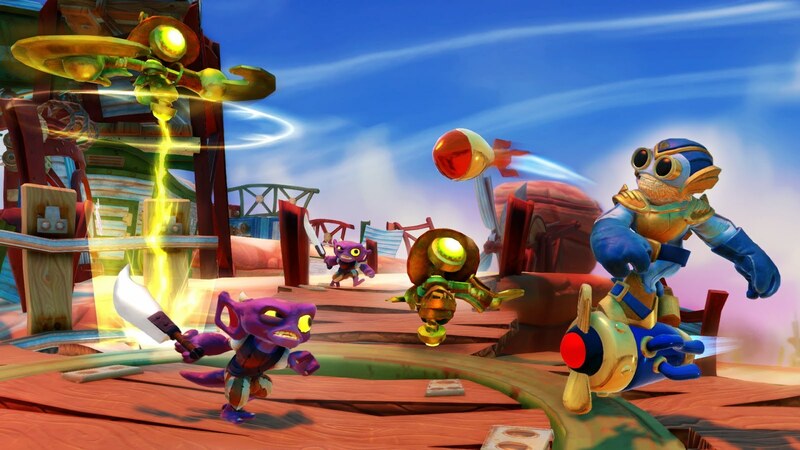 Whether this ties in with Dark Spyro from SSA, or is more akin to the Legendary Skylanders we don't know. Will this just be a recolor or will there be a different pose? Will the moves and powers be standard issue, or will there be different or new upgrades for this dark legion? At this point we just don't know; it is all speculation. I'll likely be at work when the reveal breaks, but rest assured I will assemble the information and relay it to you! 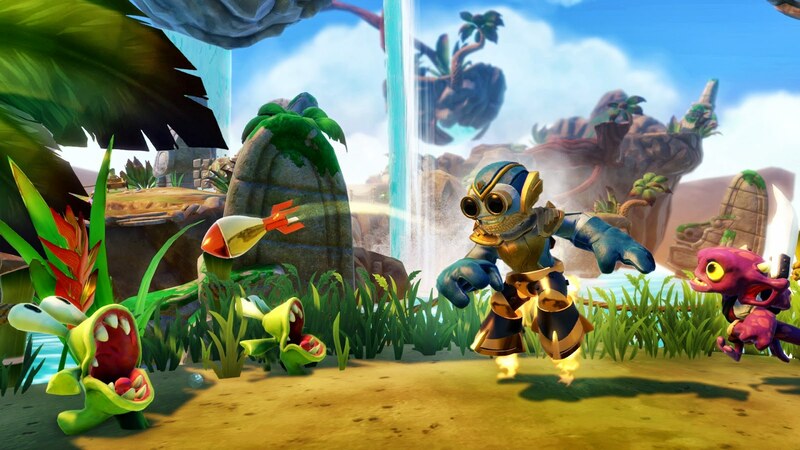 You can get the info first hand by following Skylanders Game on Twitter, Circling them on Google +, or simply checking their Facebook Page. I can make out most of the eyes (and maybe all of them in all honesty), can you? Sunday, August 11th, 2013 was a big day for fans of the Year of Luigi, and Mario RPG fans in general. Mario & Luigi Dream Team hit shelves today (and the eShop). 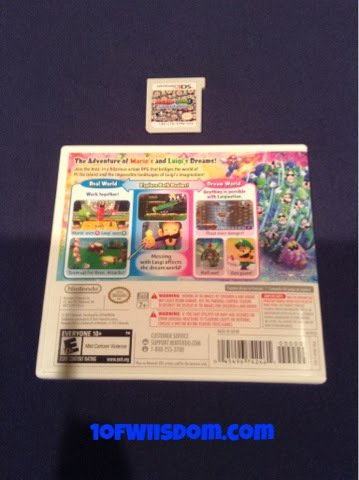 This installment follows on the footsteps of Mario & Luigi: Bowser's Inside Story (DS), Mario & Luigi Partners in Time (DS), and Mario & Luigi Superstar Saga (GBA). Much like we saw increased interaction with Bowser, in 2009's "Bowser's Inside Story," this version promises similar treatment with Luigi. 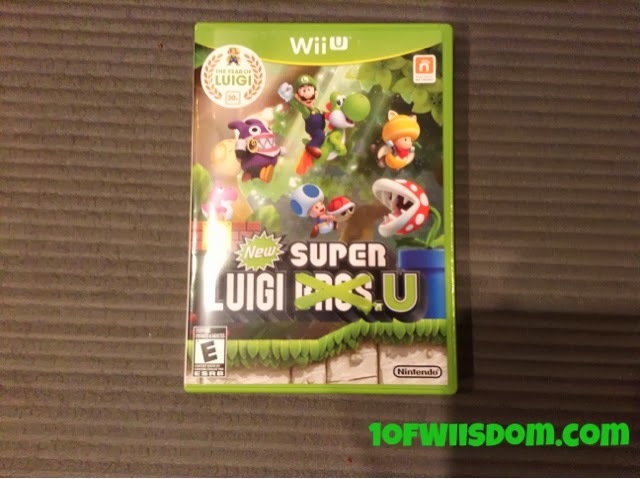 The Year of Luigi celebrates the 30th Anniversary of Luigi's debut and has already included the 3DS hit Luigi's Mansion: Dark Moon and will usher in New Super Luigi. U here in two weeks! 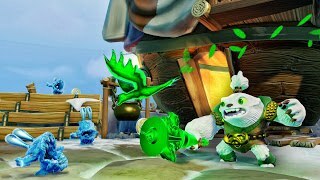 The game looks quite enjoyable and follows much along the line of what you see in Bowser's Inside Story. While this is an RPG, it has a lot more action that your typical, turn-by-turn title. A staple of the Mario & Luigi RPG series is humor...this one seems no different with the back cover boldly dubbing the game a "hilarious action RPG." My Nephew is a big fan of these games and I am looking forward to playing it myself. The best deal we could find was via Toys'R'Us. While all retailers had the game for $39.99 with no major sales, TRU did have a nice promotion. When you purchase Dream Team (and yes, it is limited to this title), you can get ANY Video Game Accessory (think stylus, cases, cleaning supplies etc), or Strategy Guide price $19.99 or less, for $0.99. That my friends is a sweet deal! My Nephew latched on to one of the final copies of Pokemon Black 2/White 2 Strategy Guides and after some consideration, I walked out with New Super Mario Bros. U. My decision was two-fold: it was in good condition (no tattered corners) AND it was the first big Mario title to the Wii U..I'm thinking long term here, lol. 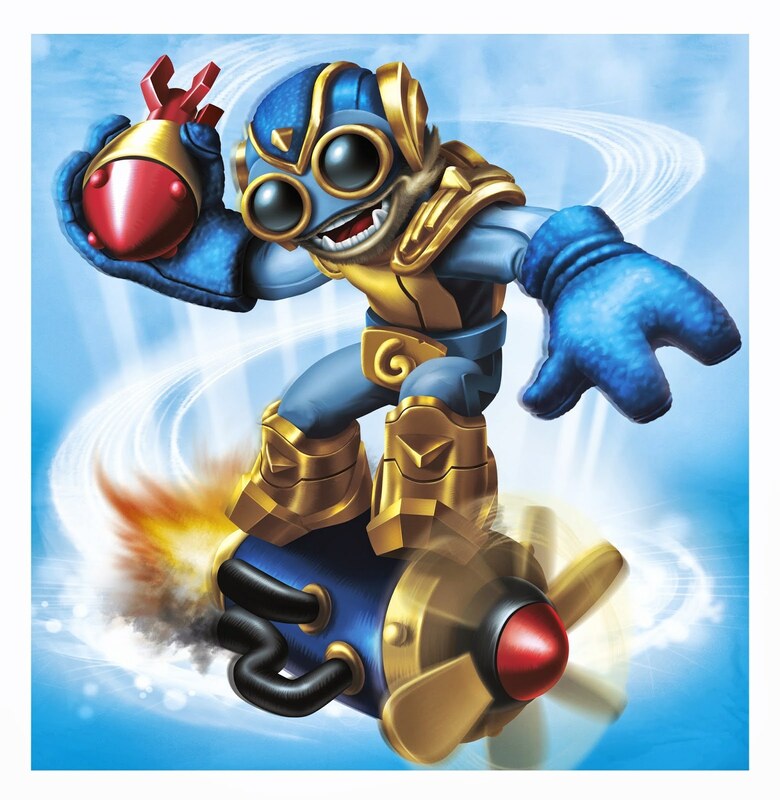 I was tempted by Skyward Sword, ACNL, and MLDT, but ultimately went for the big ticket item...Plus, I knew it would have cool artwork...I was right! The maps are very nice and I've enjoyed reading up on the new enemies etc. 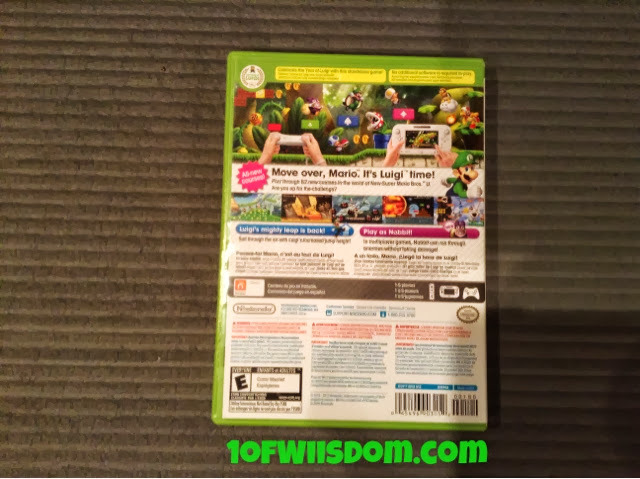 I often times appreciate strategy guides more for their thorough explanation of the characters than the actual gameplay hints. Anyway, we both left quite happy and that is without even putting much stock into the hours of enjoyment we'll no doubt get from Mario & Luigi Dream Team. If you have never played a title in the series, I would suggest you watch some gameplay vids, or study up on the trailers. 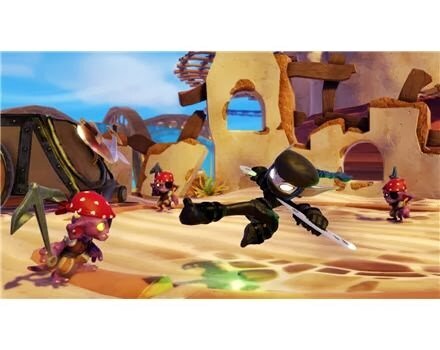 These titles are not your conventional platformers most think of with Mario games. That said, this series is also not your conventional RPG that most bring to mind. The Mario & Luigi RPG is kind of a "Mario" twist on the RPG...expect a lot more action, some comedy, and a crazy cast of characters to ultimately form a very memorable story line. The unboxing is by no means great...I seamlessly edited 2 stop points (text and email of high importance), and was (cough, am) very tired. Between having to start and stop 3 times (can't forget the batteries died! ), it rambled on a bit longer than I intended. That said, you get a decent look at the game case, the game cartridge, and insights on the best deal for launch week! My apologies for the rambling and lack of detail...there isn't really a lot to showcase here with the limited art work etc. 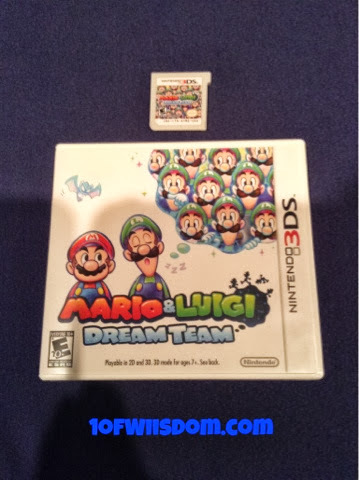 If you do pick up Mario & Luigi Dream Team, make sure to register it ASAP with Club Nintendo for 50 Coins! 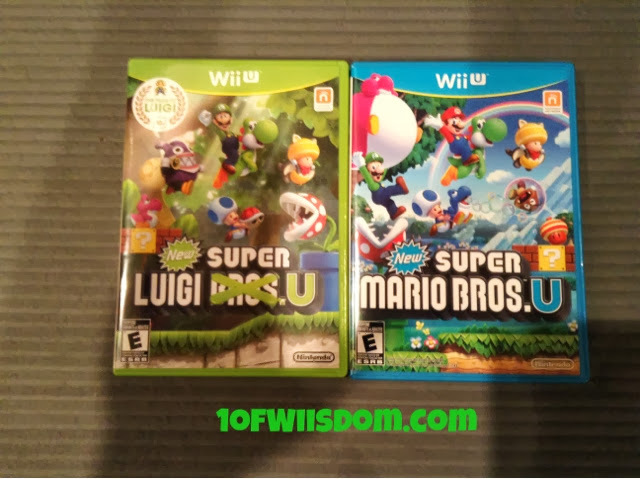 I'll see you back in two weeks for New Super Luigi U!! This Tuesday turned out to be a pretty good day! Inside, I found Purple Metallic Wrecking Ball!! I have to say, he looks great! This will also hopefully serve to dispel the rumors that the Purple Metallics are "fake" variants. They are, in fact, 100% legit. I even got confirmation that the folks at Activision even refer to them as Purple Metallic, just as the fan base does. As usual, this round of chase variants has taken form among 3 of the current cast of Skylanders. 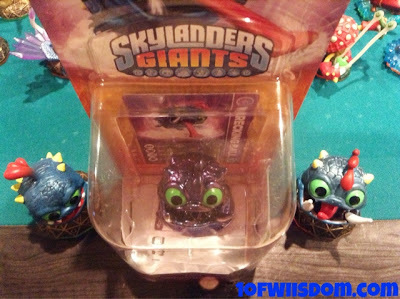 On the Giant side we have Purple Metallic Eye Brawl. Joining Wrecking Ball we have S2 Lightning Rod, who looks pretty slick in the Purple Metallic paint scheme. I have to say, the coloring really does fit Wrecking Ball. In fact, that is why in the video I said he would be the most likely to be found. My logic? 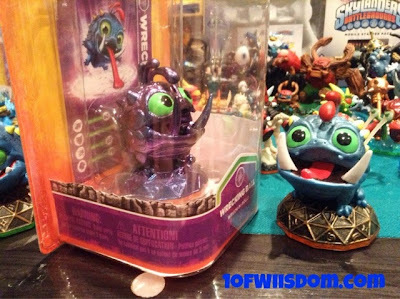 He looks so good and at home in the Purple Metallic he might be overlooked by employees and or other Portal Masters. While Eye Brawl and Lightning Rod look good in the same paint schematic, they do draw your instant attention as being "out of place." Wrecking Ball, however, wears this variant coloring flawlessly. 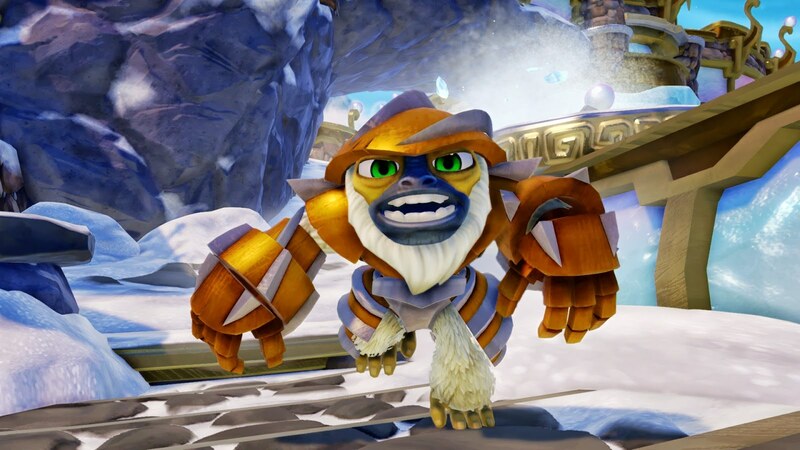 You could literally whiten his teeth back up and all but the keenest Skylander Hunter would likely bypass him. Sadly, I didn't have the heart to open him, BUT I did do my best to really highlight the coloring. The pictures you have likely seen online from ebay auctions do this coloring no justice in my opinion. That is why when I opened him I was taken back...The Purple Metallic looks way better in person that what I had seen online. I do want to mention that the color actually shits and has a bit of a chameleon to it. The shade you see depends on lighting. At times he is dead on Purple Metallic, but twist him to one side or the other and you might catch a shimmer of a pink and a glistening dark blue...it really is quite impressive to see. These three Purple Metallics kind of caught everyone off guard. We have a few still looking for S2 Drobot, and some for Ninjini, but aside from the recent release of Gnarly Tree Rex, most have been sitting on their hands biding for news regarding SWAP Force. Take this as a lesson..it pays to be diligent! You never know when the next phase of variants could crop up...keep making the rounds and always be alert. If you find anything let me know! There are approximately 1,500 of each of these Purple Metallic Skylanders so stay on the hunt! 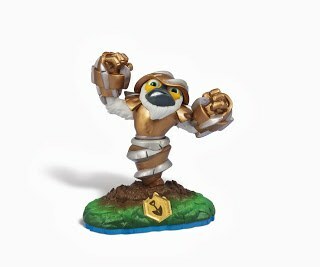 There is nothing groundbreaking here, but it is a nice, thorough look at the current Complete Set of Skylanders Sidekicks. 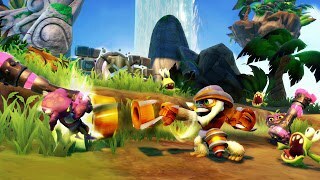 This, of course, entails both the new Skylanders Giants Sidekicks and the Skylanders: Spyro's Adventure Sidekicks. On an interesting note, despite having 8 Sidekicks, we see two Elements untouched in Air and Fire. That said, Life and Water both claim two Sidekicks. 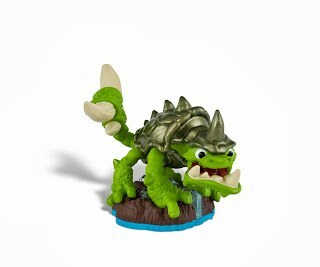 As popular as these have been, I would venture to guess we should see them return in Skylanders SWAP Force. However, for the time being, this stands as the complete set. If you need more info on how to obtain any of the Sidekicks, be sure to check the blog. 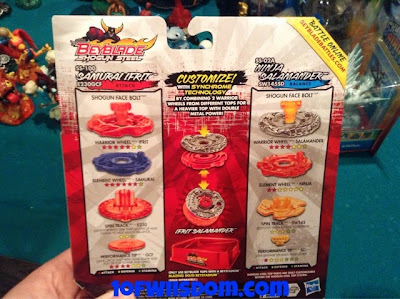 You can also find detailed unboxings for each of the eight Sidekicks here on the blog, or my YouTube Channel. Good luck completing your set!